Microsoft has decided it is time to push up the power of the Surface Book 2 and quietly rolled out Intel's eighth-generation quad-core technology to the stylish hybrid laptop making it one of the most competitively speculated and priced laptops on the market. Consumers looking for Surface Book 2 models can now choose Intel's latest 8th generation quad-core i5 processor that will sit alongside the existing 7th generation dual -core i5 It will be discounted to $ 1299, while the forms will come in at $ 1499. Both models will also include 256 GB of storage and 8 GB of RAM. Given the jump in performance when the Surface Pro 6 moved from 7th to 8th generation, expect to see a similar boost in the Surface Book 2. 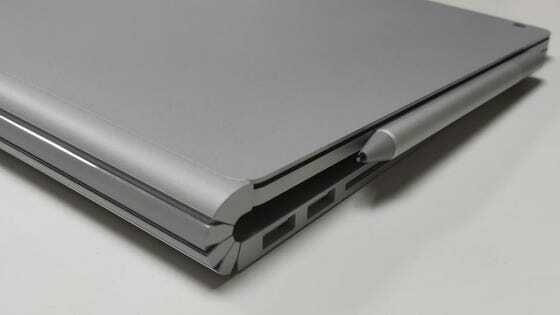 The Surface Book 2 was launched in November 2017, two years after the first Surface Book. If Microsoft was to be a regular schedule, we could expect a Surface Book 3 later this year. I am not convinced that Redmond is committed to a regular tick tock replacement schedule as the smartphone world, but given the enterprise focus of the Surface hardware (especially the Surface Book) then there is nothing wrong with a two-year refresh cycle. Or if Microsoft is happy that the 8th generation chipset is enough to stay relevant, a bump in specs while retaining the 'Book 2' nomenclature would not only be a sensible decision, but it would also put the focus on 'updates' to Windows 10 and Microsoft's cloud based computing services. And the focus on software is the biggest advantage of Microsoft's hardware. The refresh on the consumer facing machines follows on from updates last month to the enterprise portfolio. . Both the Surface Pro 6 and the Surface Laptop 2 saw new specification models offering increased memory and storage on the mid-tier Core i5 models.